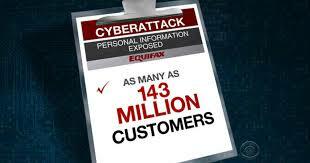 You probably by now have heard the shocking news that Equifax has been hacked by cyber terrorists which has resulted in the exposure of the personal data and identity of approximately 143 Million people. Now, in an obvious attempt at emergency public relations, Equifax has set up a website where those affected by the security breach, allegedly offering free credit monitoring. But here is the catch (you KNEW there had to be one): If you sign up for the free credit monitoring on the site Equifax has set up to supposedly help customers identify whether their information was stolen as part of the hack, you will (most likely unknowingly) have also signed a forced arbitration clause aimed at keeping consumers out of court, and shielding Equifax from lawsuits. This comes after we learn that the higher-ups at Equifax, rather than trying to help you, the potential victims of this massive data breach, sold many of their shares of stock, to the tunes of millions of dollars, knowing that the stock would surely drop after news of the hack became public. A Federal class action has already been filed, alleging Equifax Chief Financial Officer John Gamble sold Equifax shares worth $946,3874; Joseph Loughran, president of Equifax’s U.S. information solutions, exercised options to sell stock worth $584,099; and Rodolfo Ploder, president of the company’s workforce solutions, sold $250,458 worth of stock. We have corporate misbehavior of the worst order, and a terrible data breach that may expose secret information of 143 million people. All on a day when Equifax’s Chamber allies and trade association had several House Republicans holding a hearing pushing Rep. Loudermilk’s bill to gut the FCRA. Then, to top it off, Equifax urges customers to sign up for a product that supposedly will help protect them, but that product has a fine print forced arbitration clause aimed at killing data breach cases. It seems that the issue of forced arbitration clauses in contracts seems to be increasingly in the public conversation, given the debacle of Wells Fargo creating fake accounts by employees to achieve performance bonuses without their customers’s even knowing about it. Unbelievably, Wells Fargo is attempting to rely on forced arbitration clauses in the fake contracts for the fake bank accounts they fraudulently created to avoid being held accountable by a real jury. It’s really hard to believe Wells Fargo’s lawyer would even agree to submit such a position to the court with a straight face and an unburdened conscience. But they are. At least maybe the Wells Fargo fiasco is bringing to light this attempt by many corporations to take away a person’s Constitutional right to a jury trial to resolve a dispute before a dispute even arises and force the aggrieved person to have the dispute heard by a panel of arbiters (often picked by the corporation). 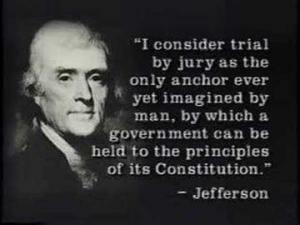 They know they stand to fare much better before an arbitration panel than a jury of 12 American citizens, the greatest dispenser of Justice ever conceived by man. I have written before about the “gotcha” tactics of nursing homes in attempting to steal a resident’s right to a jury trial. I have fought off several attempts on behalf of clients in nursing home malpractice lawsuits. An interesting opinion from the Georgia Court of Appeals recently was issued that deals with an embedded arbitration clause in nursing home admission papers, which, once the resident’s family members sued the nursing home for malpractice in causing the death of their family member, the nursing home asserted to the court as eliminating their right to have a jury hear their case. Gotcha!! This case is Kindred Nursing Centers v. Chrzanowski, 338 Ga.App. 708 (2016) and the facts of the case confirm the nursing home’s attempt at Gotcha! The plaintiff’s mother was admitted on December 4, 2016 to Kindred Nursing Center in Marietta for rehabilitation following surgery for a broken ankle during a fall. Ms. Chrzanowski’s medical records showed she suffered from several chronic medical conditions and also cognitive impairment. According to the appellate record “[i]n the month before her fall, Jeanne went to the emergency room twice within a few days, and reported feeling “loopy” and out of sorts, with some memory loss. The second time she went, she had no recollection of her prior visit just 48 hours earlier. A neurological consult identified an altered mental state, with mild cognitive impairment, depression, and some amnesia. Kindred Nursing Centers Ltd. P’ship v. Chrzanowski, 338 Ga. App. 708, 709, 791 S.E.2d 601, 602 (2016). Two days before Jeanne signed the ADR Agreement, occupational therapy evaluated Jeanne and reported that she was confused, even though she was able to participate in establishing her plan of care. In weekly progress notes from December 5 through December 12, occupational therapy reported that Jeanne was very anxious and confused, commenting to staff, “look at the walls, they are coming out.” In addition, a speech pathologist evaluated Jeanne on December 7 and found that she was severely impaired in understanding yes and no questions; moderately impaired in concentration, understanding sentences, and conversation; and moderately to severely impaired in memory, reasoning, and judgment. That same day, a dietitian performed a nutrition therapy assessment and found Jeanne was very confused and could not remember if she had eaten breakfast. Another assessment determined that Jeanne was at risk for falls due to weakness, medications, confusion, and forgetfulness. Ms. Chrzanowski signed the admission papers on December 7, 2011, which contained the embedded, hidden arbitration clause. On April 25, 2012 Ms. Chrzanowski died in the nursing home after suffering several other falls and hospitalizations. Her family then sued in court for malpractice. In response to the suit, the nursing home filed a motion with the trial court to enforce the arbitration agreement that was in the admission papers signed by Ms. Chrzanowski while she was obviously suffering from dementia and cognitive impairment. Does that even sound fair to you? I hope not. The trial court denied the nursing home’s motion to compel arbitration and the nursing home appealed. The Georgia Court of Appeals reversed and remanded, not on the merits of the case but on the basis the trial court had applied the wrong standard in making its decision. So now the case is back in the breast of the trial court who must apply a different standard in making its decision on whether to compel arbitration and allow the nursing home to steal the Chrzanowski’s Constitutional right to a jury trial. Will Wells Fargo Customers Get Their Day in Court? The news, even for the most jaded of us, was shocking: Wells Fargo employees had created thousands of fraudulent bank accounts in their own customers’ names, without their customers’ permission or knowledge, so that employees could receive bonuses for opening a certain number of new accounts. These unscrupulous employees would take money out of their customer’s legitimate accounts and put them in the newly created fraudulent accounts. If this caused a legitimate account to experience an overdraft, the Wells Fargo customer would be responsible for paying the normal fine for an overdraft. This really happened. And, so far, no one has been indicted and no one is going to prison for it. Kudos to Senator Elizabeth Warren for suggesting that, but I wouldn’t count on it happening. And according to CNN, Wells Fargo may be the tip of the iceberg for banking fraud. The question that is foremost in my mind now is whether Wells Fargo customers will get their day in court? That’s a big question mark. Why? Because the self-dealing of Wells Fargo includes inserting an arbitration clause in their banking agreements that essentially says if any dispute arises, the customer agrees it will be decided by arbitration. This clause, found in all types of consumer contracts, including credit card agreements and nursing home admissions, is the same as forcing a customer to waive their 7th Amendment Constitutional rights to a jury trial. Yet, a constitutional right cannot be unknowingly waived. Waiver must be knowing and intentional for it to be valid. I am willing to bet that none of the Wells Fargo customers knew they were waiving their right to a jury trial when they became customers of Wells Fargo. I doubt they were told about it, I doubt they read any of the small print legal agreement they had to sign to open an account there and I doubt any of them had any knowing understanding or appreciation for what they were signing. In fact, with “e-signatures” now on documents sent to us by email, it is highly unlikely that anyone reads anything now. But lawyers for Wells Fargo have promptly raised this issue as a possible defense to any lawsuits filed against it for its fraud. They may attempt to use an arbitration clause from when the customer opened a legitimate account to defend against lawsuits brought for the opening of fraudulent accounts. Seems like that, alone, should be against the law. This is particularly insulting when Wells Fargo executives took home millions of dollars in bonuses while defrauding their customers. Huh? People are fighting back. The Wells Fargo incident simply brings to light the practice of forcing arbitration on consumers in a variety of transactions without the customers knowing anything about it. The American Association of Justice (“AAJ”) is fighting back. Likewise, the Consumer Financial Protection Bureau is working on a rule that would restore your rights in situations where you unwittingly signed an arbitration clause. If you are the victim of banking fraud, you can submit a complaint to the CFPB. “Take Justice Back” is a grassroots campaign of AAJ that seeks to restore accountability and ensure American consumers have access to justice in the commercial transactions. Consumers have to keep fighting the good fight on this issue. That good fight starts with being aware of forced arbitration clauses. Check the fine print in any agreement you enter. You will likely find an arbitration clause in there somewhere. Cross it out, intial that, and THEN sign the agreement. I once did this on surgery consent forms when my daughter was having knee surgery. I thought for sure they were going to call me up to the desk and tell me they couldn’t perform my daughter’s surgery because I had not signed their agreement to arbitrate. But, no, they never called me up to the desk and her surgery went on without a hitch. Take back your power and don’t be bullied by corporations. 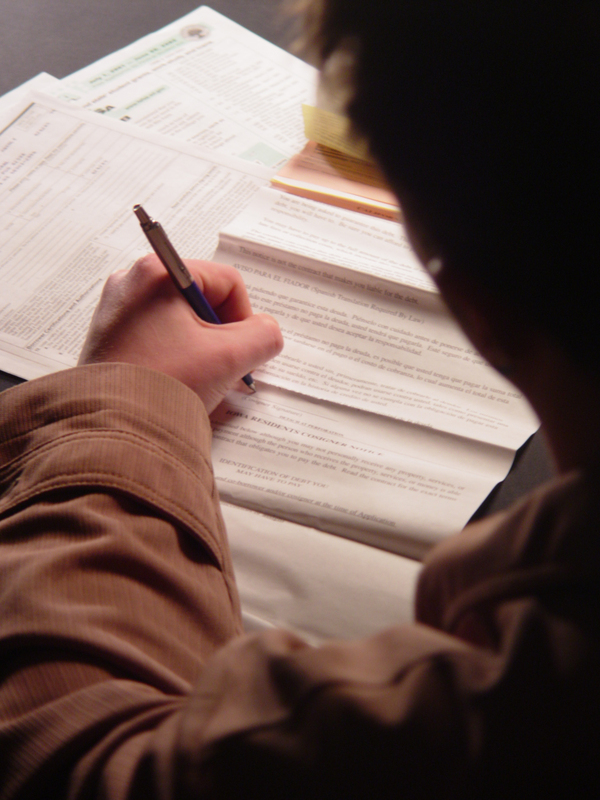 Don’t sign these arbitration agreements. “Mandatory” Arbitration clauses are not mandatory. An arbitration clause is nothing more than a waiver of the right to a jury trial to decide any dispute. But for a waiver to be valid it must be “knowing,” i.e., you must know what you are giving up or “waiving” at the time you give it up. Arbitration clauses, by definition, are not “knowing” because you are required to sign or submit to them pre-dispute or pre-injury, before you even know what harm has or may be done. How can that possibly be a “knowing” waiver? It can’t. Many courts have invalidated so-called “mandatory arbitration” clauses for his very reason. Arbitration clauses often appear, for example, in the admission papers of a nursing home. The admitting family member must sign 20 pages or so to get their loved one admitted into the nursing home and the “mandatory arbitration” clause is hidden somewhere on page14 in fine print that no lay person could possibly read or understand. The family member must sign these documents at what may very well be once of the worst times in his or her life, when the decision to place his or her spouse or partner, who perhaps they have lived with and loved for 40 years, into another living facility to be cared for by other people. The loved one’s health is probably failing. And yet nursing homes are slipping these “mandatory arbitration” provisions under the noses of their customers every day in America, without explaining what it is or what it means, during a life crisis for the consumer. What’s fair about that? Nothing. “Mandatory” arbitration clauses protect the institution not the consumer. I have had some success in the nursing home scenario described above in getting Georgia judges to invalidate arbitration clauses because they are not a “knowing” waiver of a known right. One such arbitration clause I defeated stated that the arbitration must be conducted in “accordance with the American Health Lawyers Association (AHLA) Alternative Dispute Resolution Service Rules of Procedure for Arbitration….” The American Health Lawyers Association is roughly 13,000 lawyers, which “includes in-house counsel, compliance and privacy officers, finance officers, health care consultants, regulatory professionals, those employed in health care, public health, government, and academia.” This means the AHLA members are lawyers for the nursing homes. They are not lawyers for the patient or family member. Does that seem like a level playing field to you, conducting this forced arbitration according to the rules devised by the nursing home lawyers? Not hardly.